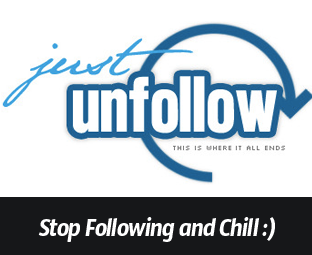 Unfollowing a blog, that sounds so painful! By following a site on Blogger, you are in reality subscribing to their Feed updates. You may have seen update notifications coming from different blogs, which you are following. These notifications usually appear at the bottom of your Blogger dashboard. Sometime these update notifications might cause a lot of irritation because they just kept coming. So, if you are looking to find a way to unfollow a site then you will get your wish come true. Today in this article, we will show you How to stop following a certain Blog in Blogger. There are quite a few reasons why a person might stop following a site. Below are the few of the common reasons why one of your followers might have stopped following you. The Blogger blog which you use to follow have started to publish discrete content or, you probably have lost your interests in their content. The quality of the content has become poor, or the site is just publishing useless content to make their community active. A blog that was abundant for so many years and, somehow it is now owned by someone who always blasts out advertising posts and does not cares about his users. The first thing you need to do is to login into your Blogger account. After logging into your account, you need to access the list of sites that you are following by going to the http://www.blogger.com/manage-blogs-following.g (Blog I’m following management area). Now you will be able to see the list of websites that you are following, just select the “Setting” link situated next to every site that you are currently engaging. Once done, move to the next step. On pressing the “Setting” button a new window would pop out, and it would somewhat look like the following screenshot. Now select the link which says, “Stop following this site” and confirm that you want to “Stop following” this site. Congratulations: You have successfully learned how to unfollow a site in blogger. We hope this tutorial has facilitated you in getting rid of all the useless baggage you were previously carrying. Though Google Friend comment is not a reliable service anymore, so make sure you move to Google+ Followers as soon as possible. Now the question of the day, would you unfollow any site which you were previously following? What are your thoughts? Share your views in comments. Nice and cool one. just chill. nice! So, I have done this multiple times and it is not working for me. I have tried many ways to remove blogs I am following and they are still there. HELP!!! This is quite unusual. can you please let us know exactly, what problem you are facing? I have tried numerous times to remove someone following your suggestions above...THEY ARE STILL THERE! Is there anything I can do short of getting rid of the blog altogether? A blogger glitch you can say.